This tour will give you a great opportunity to discover Gothenburg's most interesting sights. 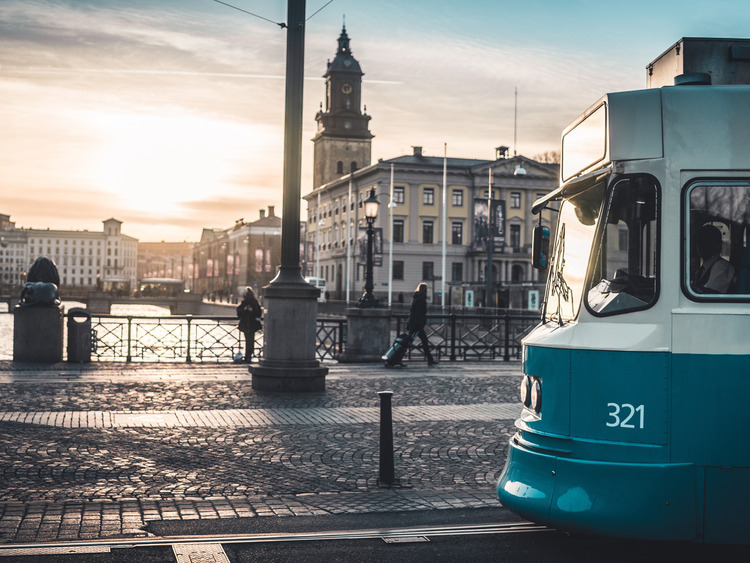 You'll begin at Gustav Adolf Square and find out about the history of Gothenburg and the significance of the canals to Gothenburg as a trade centre. Then you continue down to the water to admire the famous Gothenburg Opera House. Continuing to the city centre you pass by Gothenburg's most peaceful and greenest park: Slottskogen, located right in the middle of the district of Gothenburg called Linnéstaden. You will also see the famous statue of Poseidon by Carl Milles rising above the famous square called Götaplatsen and overlooking the main street - Avenyn - with its many pubs, shops and restaurants You will also enjoy some free time for shopping in the city centre before continuing the tour. During your tour you will also pay a visit to the Masthuggskyrkan church and admire the flowers on a short visit to the Botanical Garden. Driving through Gothenburg other highlights on your route will be the events district, where you will pass by: the Swedish Exhibition & Congress Centre, Sweden's most famous amusement park Liseberg, the Ice Hockey Arena Scandinavium and the Football Stadium Ullevi, home of the local team called the Angels. A photo stop will be made at Ramberget, where from you can admire a wonderful panorama over the city.